- Execution of a secure environment and health. Dosimeter is a portable measuring instrument . Dosimeter is bilingual (English / Russian ) inside the settings menu. Power supply from the built lithium-polymer battery, which is charged via USB-port . Used counter - "Beta- 2 ." - Atmospheric pressure from 84 to 106.7 kPa. 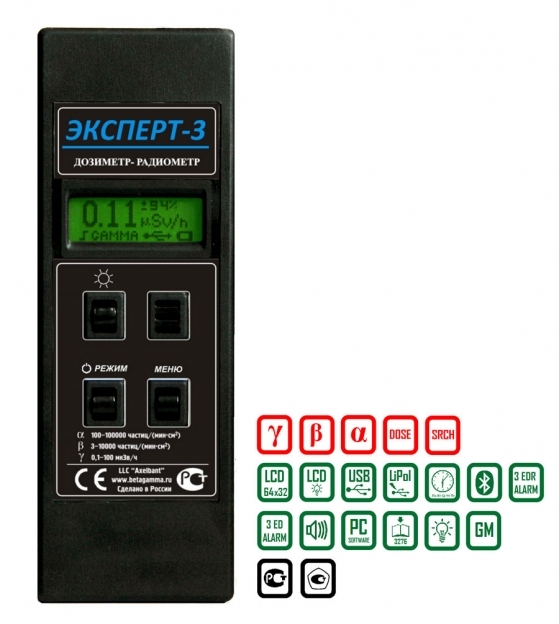 Dosimeter MKS- 87 "Expert-3 "
The warranty period for the product - 2 year calibration interval - 2 years.